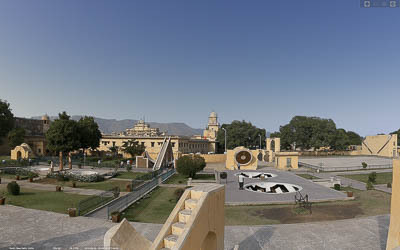 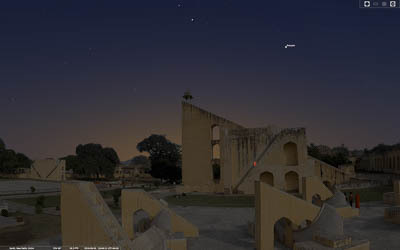 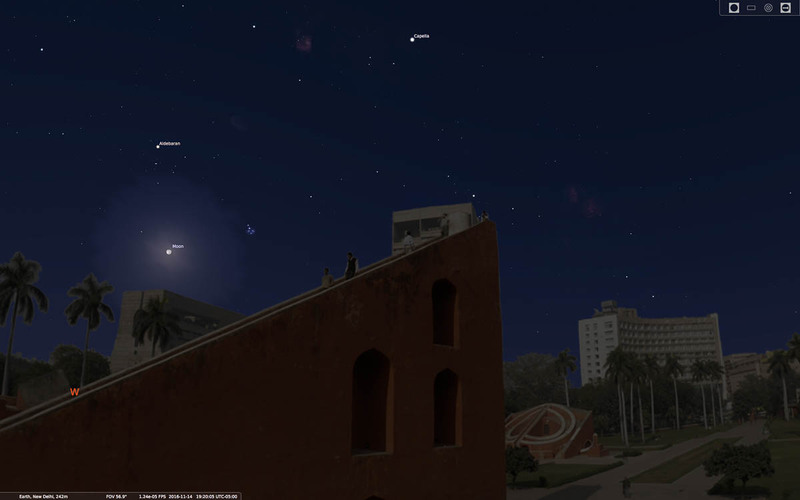 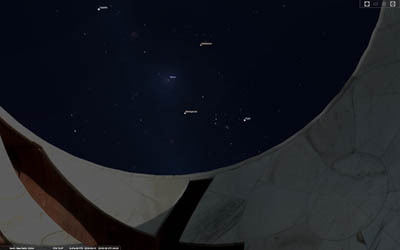 View the current night sky from the Jantar Mantar! 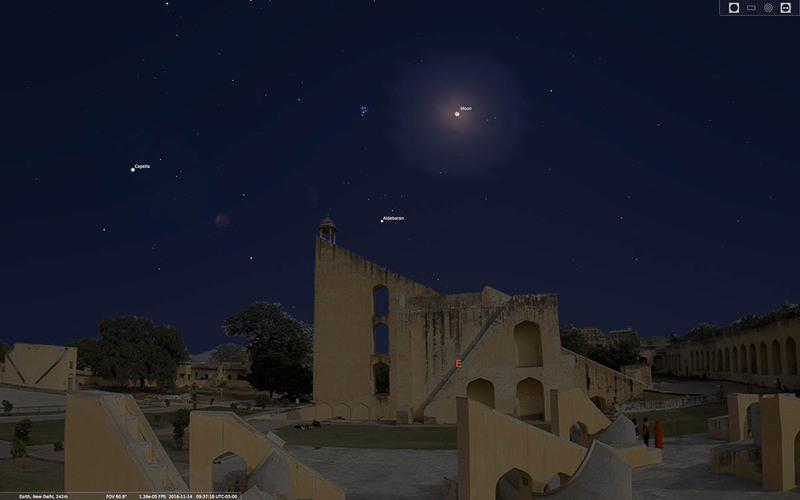 We’ve created 3 panoramas that you can use with Stellarium to customize your viewing experience. 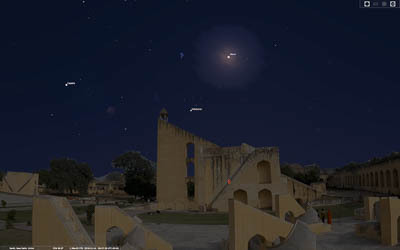 Download the panorama .zip archive from this page and use the “Add or Remove Landscape” feature in the control panel of Stellarium to install one or all of these custom landscapes. Looking up from inside the Jai Prakash - as close to being there as you can get! Stellarium replicates the sky at any time of day!